Miami is known for large and impressive towers and amazing architectural designs that provide the skyline with far more visual interest than you will find in most cities. One of the newest that is set to be gracing the skyline in the coming years is known as SkyRise. This is going to be a 1,000’ tower that could be the largest the city has ever seen. 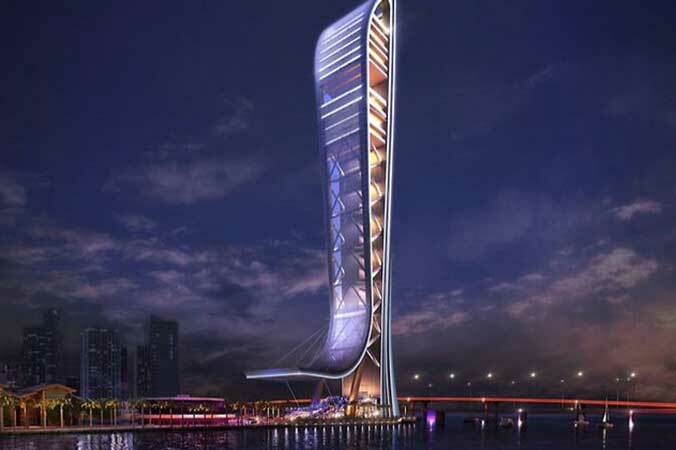 In fact, once the construction has been completed, this will be the tallest building in Florida, at least for a time. If SkyRise sounds familiar, that’s because this project has been around for quite some time. The first time that this was proposed by Jeff Berkowitz of the Berkowitz Development Group was back in 2013. However, it ran into some problems at that time. There were lawsuits that held the project back. One of the major lawsuits was started after Miami-Dade County said that they were going to award $9 million in public subsidies. The litigation lasted for three years until, in 2016, Berkowitz decided that he was no longer going to look for public funding. With the legal entanglements behind, they were free to move forward with the tower. It appears that the construction is going to get underway sooner rather than later. The Berkowitz Development Group has chosen Plaza Construction to take care of the building of the tower. This construction is set to start during the second quarter of 2019. They hope for the completion of the tower to be completed in 2023. While there are many towers in the Miami area that are geared toward providing a wholly unique experience. First, the architectural style will be like nothing else in the city. In addition, this is not going to be a residential tower. Instead, it is considered a “vertical entertainment center”, and it will be located close to the downtown area of Miami. SkyRise is going to feature a variety of observation galleries, so visitors will be able to take in and enjoy the stunning views of the water and of the city. It will also have VIP services, music venues, banquets, meeting rooms, a ballroom, fine dining options, and areas that are just for the kids. The tower is going to offer even more, though, as it will feature a range of different attractions, which should make it a destination that everyone is going to want to spend time visiting. It is going to include a Skyway, SkyDrop, SkyPlunge, Flying Theater, a SkyLedge, virtual reality, and much more. The goal of the tower is to become one of the prominent entertainment venues in the city. With all of the features that it promises, it seems that this could very well be the case. Construction has not yet started on the tower. Many are excited about all of the possibilities that it can bring. It is sure to be a hit once it finally opens, giving people yet another reason to love Miami.